The Supervisor/Senior Solicitor and Case Worker at this firm has over 25 years hands on experience in delivering high quality work in all matters relating to Employment Law, Immigration & Nationality and Housing law. The firm has particular expertise in complex, appeal/higher courts immigration and employment matters. Regardless of who works on your matter, they will be supervised by Vincent Onuegbu, Principal and Solicitor-Advocate (civil proceedings). 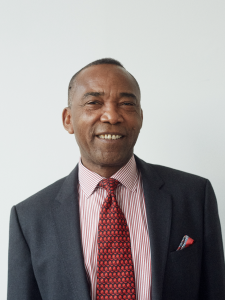 Vincent is the head of our firm and has over 25 years’ experience in the voluntary sector and private practice work, specialising in Immigration, Employment and Housing. Vincent has been working in these areas since he qualified and has helped thousands of families, individuals and businesses. Vincent qualified as a solicitor in 1998 after gaining an honours Law degree from the University of London and a postgraduate diploma in Intellectual Property law from the Centre for Commercial Law Studies (CCLS) at Queen Mary now University of London. He commenced law practice in the voluntary sector as a Legal Advisor at the Hoxton Trust Legal Advice Service in Shoreditch and went on to become a founder staff member of Tottenham Legal Advice Centre where he completed his training contract and worked as a solicitor in the areas of Employment, Immigration and Housing before moving on to set up this firm in 2002. Whilst at TLAC Vincent prepared and conducted proceedings in complex employment matters including the initial stages of Andreou v Lord Chancellor’s Department  EWCA Civ 1192 that gave rise to the principle that because you are certificated off sick from work does not mean you are also off sick from court/tribunal hearing. Vincent also prepared and conducted the advocacy in Clarke v London Borough of Haringay  UKEAT, Ayovuare v London Borough of Greenwich  UKEAT etc. He became a Solicitor-Advocate in 2006. Since then he has worked in ground breaking immigration cases including DK (Serbia) v Secretary of State for the Home Department  EWCA Civ 1747, instructing Frances Webber. Vincent prepared and conducted the advocacy with others in the Court of Appeal landmark case of Obed and others v Secretary of State for the Home Department  EWCA Civ 747, etc. This case made it possible for overseas students to change their courses for the first time. Vincent has also completed several professional development courses in Immigration, Employment and Housing law including becoming an accredited supervisor and senior caseworker under, the then, Immigration and Asylum Accreditation Scheme by the Legal Services Commission. He attends regularly update courses in Immigration and Employment law. This firm no longer carry out work under Legal Aid since 2009. Vincent Onuegbu is a member of the Solicitors Association of Higher Courts Advocates.